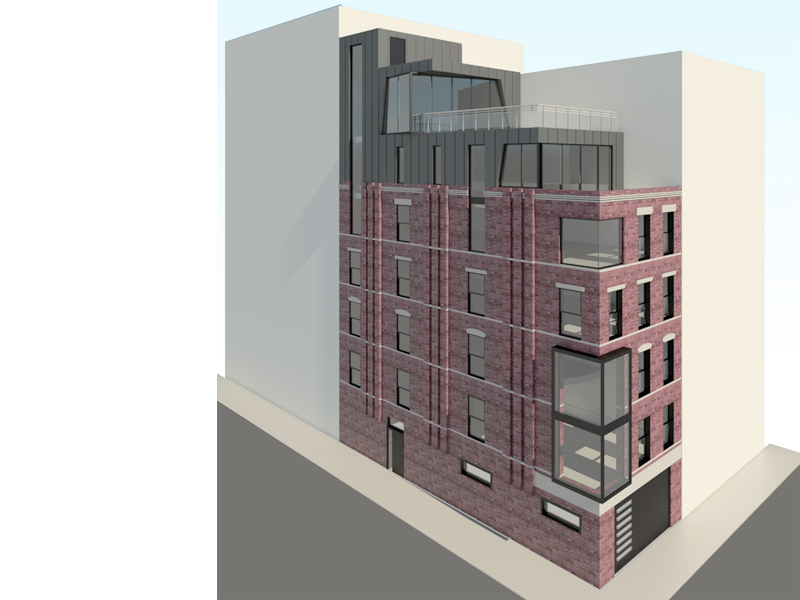 A design for a converting and existing walk-up townhouse into a single-family home in the TriBeCa neighborhood. 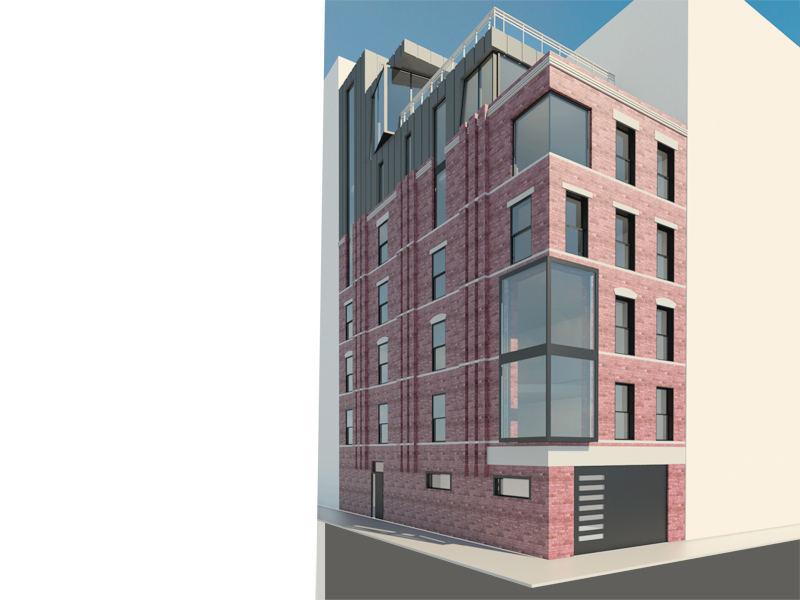 A rare opportunity for a single-family home with a private garage within Manhattan. Our design calls for opening up the bottom floors with a double-height living space. 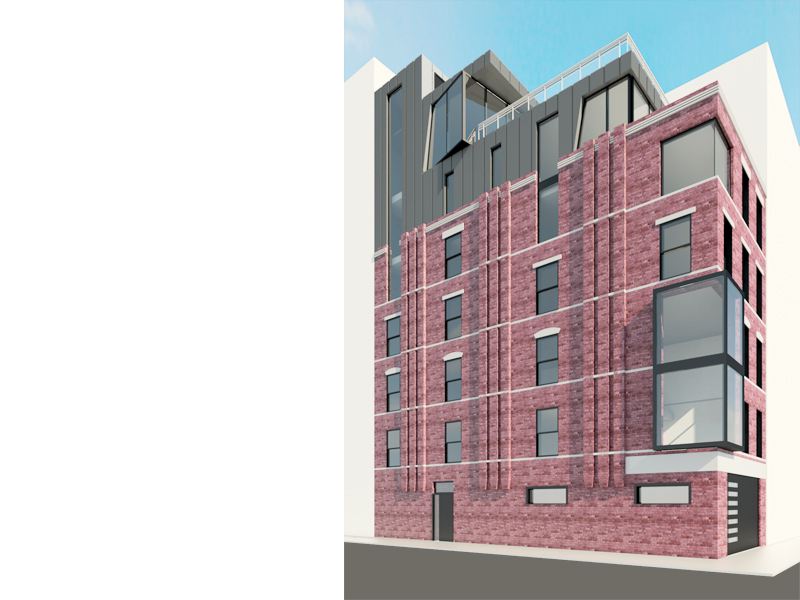 A new penthouse addition becomes the master suite, with a rooftop terrace above.